Tricia Newbold, a longtime White House security adviser who is from Madawaska, told the House Oversight and Reform Committee that she and her colleagues issued “dozens” of denials for security clearance applications that were later approved despite their concerns about blackmail, foreign influence, or other red flags, according to panel documents released Monday. The allegation comes during an escalating fight over the issue between House Democrats and the White House. Rep. Elijah Cummings, D-Maryland, the committee chairman, said in a letter to the White House Counsel’s Office that his panel would vote on Tuesday to subpoena at least one individual who overruled Newbold — the committee’s first compulsory move aimed at the White House. The White House declined immediate comment on Monday, and Kushner’s legal team did not immediately respond to requests for comment. The Trump administration has refused to comply with numerous document requests and inquiries Cummings has made on the topic over the past two years. Cummings identified the security clearance process as one of his top priorities after Democrats took the majority in the House last fall, but his panel has yet to receive a single document from the White House on the issue. The controversy, Democrats argue, strikes at the heart of their investigations into President Donald Trump. They believe Trump has abused his power and bent the rules to accommodate himself, his children and his allies. And the security clearance issue, they argue, is an example of how he has put his own desires before the interests of the nation. Multiple newspapers, including The Washington Post, reported that Trump early last year directed his then-chief of staff, John Kelly, to give Kushner a top-secret security clearance — a move that made Kelly so uncomfortable that he documented the request in writing, according to current and former administration officials. She said she has already faced retaliation for declining to issue security clearances and challenging her superiors as they sought to implement clearance-process changes she disagreed with during the Trump administration. Newbold said she was suspended without pay for 14 days in late January despite “no prior formal disciplinary action” in her nearly two-decade tenure. And when she returned, she was removed from her position as a “second level adjudicator” on security clearances and is no longer a direct supervisor. In her interview with the committee, which was conducted over a weekend, Newbold told the panel that she began keeping a list of employees whose applications were denied but were later given clearances despite concerns about their ties to foreign influence, conflicts of interests, questionable or criminal conduct, financial problems or drug abuse. That tally now reaches 25, she said, “including two current senior White House officials, as well as contractors and individuals throughout different components of the Executive Office of the President,” the letter says. 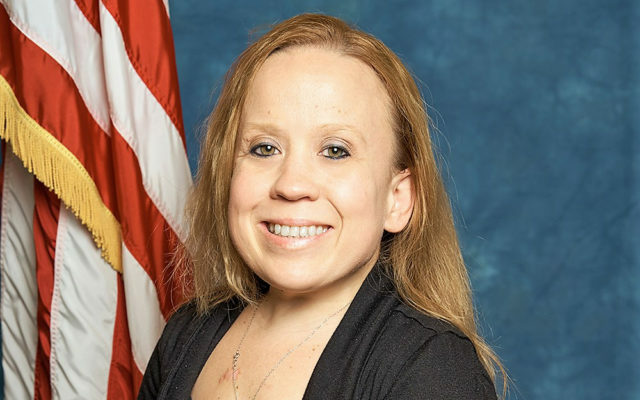 Newbold named several superiors she took her concerns to, including: Director of Personnel Security Carl Kline; his immediate supervisor, Chief Operations Officer Samuel Price; White House Counsel’s Office; the assistant to the president Marcia Kelly; and Chief Security Officer Crede Bailey. In the case of one top White House official, merely described as “Official 1″ in committee documents, Newbold said Kline overruled her and another employee’s denial of an application amid concerns about foreign influence. But Kline, she said, “failed to address all of the disqualifying concerns listed by Ms. Newbold and the first-line adjudicator,” according to a committee summary of her response. Democrats have already identified Kline as one of the people they want to interview. In his letter to the White House, Cummings said the panel’s first subpoena would be to depose Kline, who now works for the Department of Defense. Newbold also accused Kline of trying to get her to change her recommendation for a security clearance denial for a “high-profile official at the National Security Council,” with whom she said Kline was in daily contact on the phone. “According to Ms. Newbold, Mr. Kline ‘called me in his office and asked me to change the recommendation. I said I absolutely would not,’” the committee wrote. “Official 3″ is no longer at the White House, panel Democrats say. Newbold also raised concerns about new White House security clearance policies that she said put the nation at risk. For example, the White House security office no longer checks the credits of applicants, which she said keeps reviewers from knowing whether applicants could be susceptible to blackmail because of their debts. Newbold also said the White House was “getting out of control” with the number of interim security clearances awarded to White House officials who didn’t yet have permanent clearance status. Those temporary passes enabled aides to access classified information — including some sensitive information — for long periods of time. Some of those individuals never attained that clearance, Newbold told the committee. And in May 2017, another agency also complained about the practice, she added. Democrats defended Newbold’s credentials in their Monday memo and letter, noting that she had served both Democratic and Republican administrations. “During her interview with committee staff, Ms. Newbold repeatedly made clear that her concerns are based on national security — not on personal animus towards anyone in the White House,” Democrats wrote. Democrats said Newbold complimented Kelly, whom she said was “very receptive and understanding” of her concerns. Kelly later wrote a memo outlining his own concerns with the security clearance process. The committee in its Monday letter also revealed that it has also spoken with other whistleblowers about the security clearance process, suggesting Newbold’s story is unlikely to be the last. For now, however, the individuals were too afraid about the “risk to their careers to come forward publicly,” the panel wrote. Washington Post writers Josh Dawsey and Tom Hamburger contributed to this report.